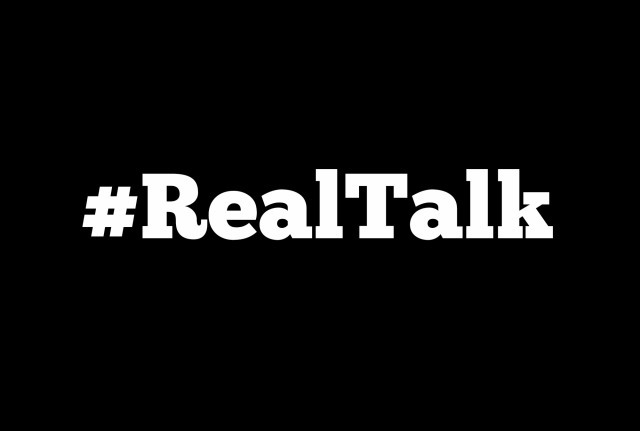 I finished out #realtalk our short series on marriage this past Sunday and I had some folks ask if I would share a brief overview of some of the things that I talked about in that message. Quickly, I want you to know that I have a great marriage, but it’s by no means perfect. And the reason it is so strong is because of the grace and strength of my wife, Holly. Those aren’t just words that I’m “supposed” to say. I mean it. She really is the rock of our marriage, and none of this would be possible without here. Second this is not “7 easy steps to a perfect marriage.” There are no easy steps. Marriage is tough and awesome. There aren’t easy steps. There are only faithful steps. If we take some faithful steps, God will do great things. So, just a few of the quick points I made Sunday. 1. Submit yourself to Jesus. It all starts with you and your walk with Jesus. Everything in life eventually walks itself back to that. It all goes back to our walk with Jesus. We will never be the husband or wife you want to be with our Jesus. We will never be the friend, co-worker, anything without Jesus. It all starts there. None of this is possible without Him. We have got to communicate, and that starts with learning to listen. It’s an old saying, but it’s true. We’ve been given two ears and one mouth for a reason. We have to listen. And by that, I mean really listen. Part of the problem with communication is that just don’t really hear what the person is saying. So, if you are having problems with communication with your marriage, two suggestions. A. Speak concisely. Say what you mean. Be honest. Say exactly what you mean with nothing else there. Make it simple to understand. We must make time. Dave Ramsey talks about knee to knee conversations where you turn off the TV, put the kids to bed, and talk. You have to build that into your lives and into your schedule. And this is one of the things that I struggle with the most. I’m a workaholic and would work all day long. I’ve had to learn to work my family into my schedule. They matter more than anything. 4. Remember what you love about each other. That’s one of the worst things about being in a bad spot in a marriage or a relationship. We can forget what we loved about each other to begin with. The Bible talks about remembering our first love. Sometimes we have to stop and remember what it is that made us fall in love them to begin with. 5. Serve each other. That’s the entire point of Ephesians 5: 22-33. Marriage is not about what you can get out of it, but what you can give to it. If you are in a bad place with your spouse, do two things. A. Pray for them. You may do it through clenched teeth, but pray. See if God doesn’t change you heart. B. Serve them. Do something nice for them, desiring nothing in return. Serve them. Give to them. And see if in that action God doesn’t do something. Each of us is called to serve. Serve together as a family, as a couple. Do something for someone, do something for your church, do something for the kingdom. And that will bring you together. It will. If you as a husband and wife will serve together in some way, it will strengthen your relationship in amazing ways. 7. Don’t sacrifice each other for your children. Your kids are part of your family, but they are not the totality of your family. I put it like this; the most important lesson I can teach my kids is to love their mother. The way that I love my wife will determine the type of man that my daughter desires to marry and will determine the type of man that my son will become. The example I set loving my wife will shape my children more than I can ever understand. If you’d like to hear this most recent message you can click here, or if you’d like to hear the previous week’s message, click here.